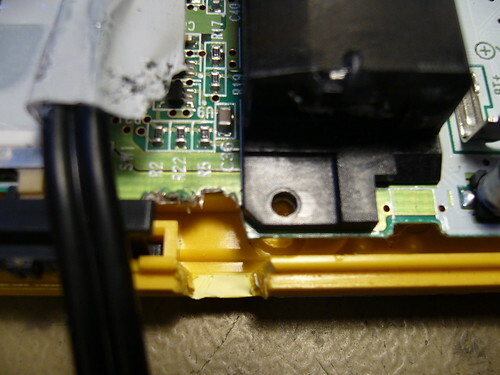 can i possibly see a better picture of the leads soldered to the pot? 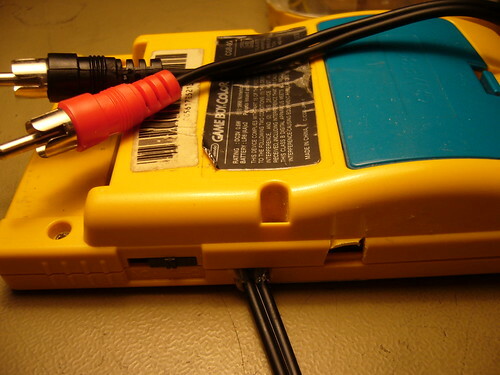 i’ve never seen them in those spots and i kind of wanna try this out with some RCA cables and GBCs i have lying around. I put some shrinkwrap around the ground/isolation so they couldn’t short anything. 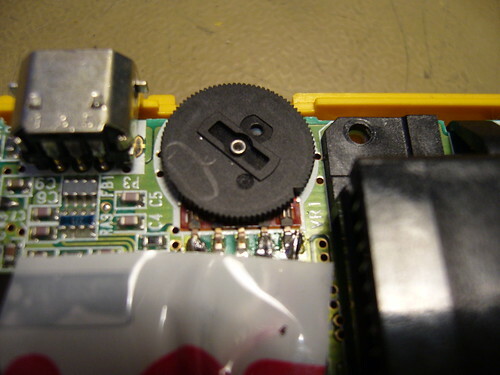 (Poor man’s solution, put a layer of plastic adhesive tape under the cable when you’re done soldering) Be careful at the splice point that the ground wires is facing up, for the same reason. Don’t peel the wires more than needed. Presolder the wires and the potentiometer pins. 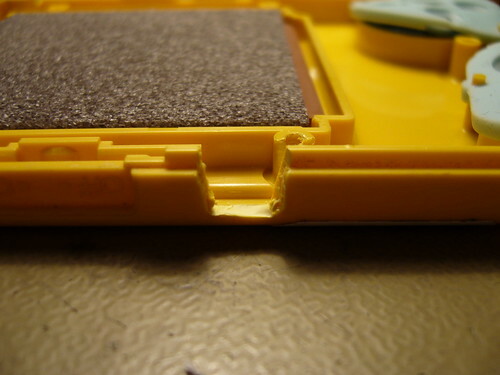 (Heat them up and melt some solder into them, but just for the solder to melt) This makes it easier to attach the wires. 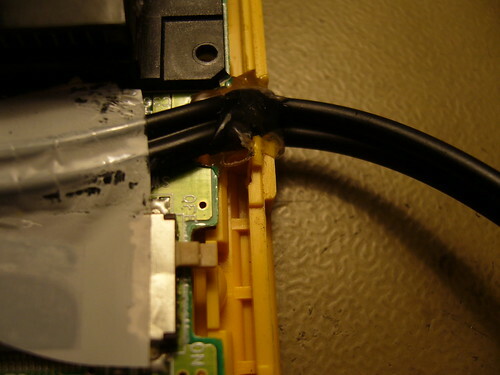 Tape the cable to the motherboard, at exactly the right distance from the pot. With a steady hand and a pair of tweezers, bring the one wire to the correct potentiometer pin and give it a go with the soldering iron. 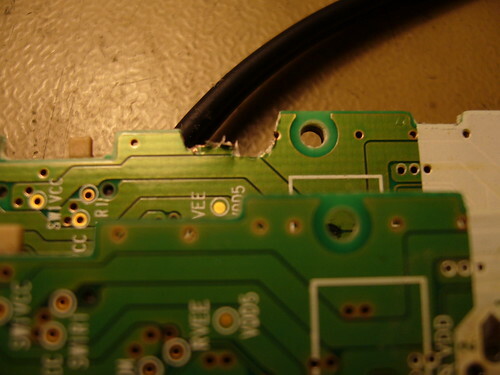 Keep the wire completely still until the solder has become solid. Repeat for each wire. thanks im gonna do this right now! that picture is beyond perfect. so simple and easy idea!! 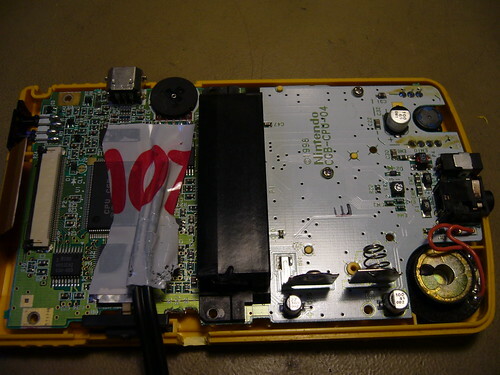 This page was previously hosted on http://gameboygenius.8bitcollective.com/wordpress/2009/09/13/gbc-prosound-idea/ (*).